Nestled into the jungle-laced hillside above Ocho Rios, you find one of Jamaica's most idyllic botanical gardens. The 25-acre Shaw Park Gardens & Waterfalls boasts some 600 species of plants, including exotic tropical flowers, ferns and a giant banyan tree. 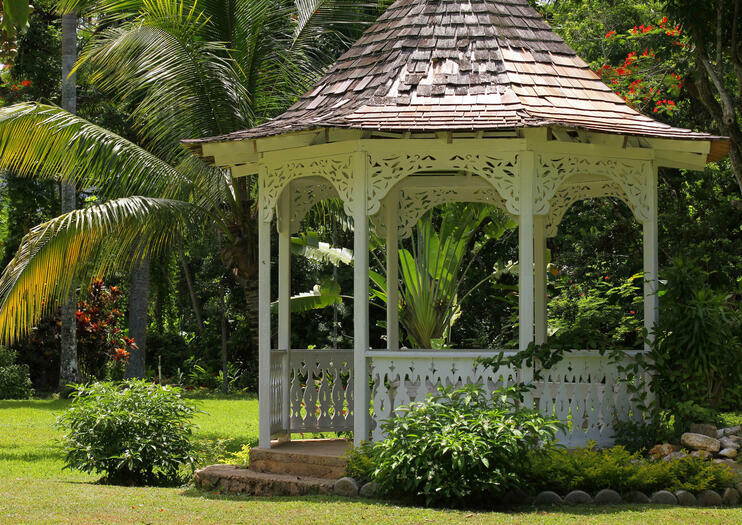 The gardens sit on the former estate of plantation owner John Shaw. When it was sold to the Pringle family in the early 1900s, the daughter Flora took in upon herself to design and plant the gardens. A gorgeous stream runs through the gardens, cascading down waterfalls into glittering pools, making it a great spot to enjoy a walk and a picnic lunch. Shaw Park Gardens & Waterfalls makes for a quick and easy escape from the hustle of Ocho Rios, reachable either by a 5-minute drive or 30-minute walk. At the gardens, you’ll find bathrooms and a bar where you can get a cold drink after exploring the grounds.